Whether your home is brand new or needs a makeover, a home irrigation system is never out of style. As a classic piece of your home, installing a home irrigation system is a great idea to keep your yard fresh and healthy all year long. Before beginning to plan for a home irrigation system, it is important to know exactly what you are getting yourself into. 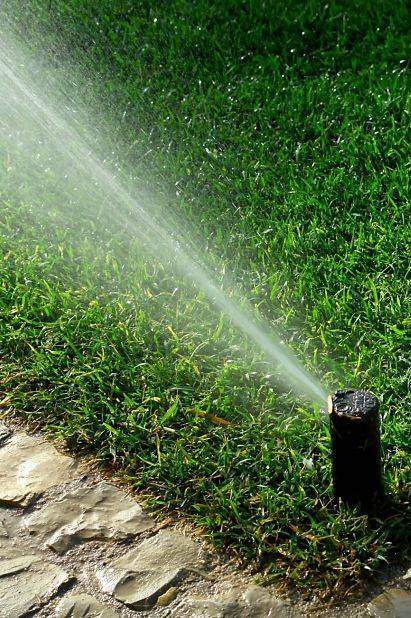 At its core, a home irrigation system is an underground sprinkler system that helps conserve water and save money. It helps not having to rely on any rainfall to water your grass and garden. Additionally, it really provides a hands-off way of making sure everything is watered and fresh without having to think about it. As mentioned above, having a home irrigation system has a lot of advantages to it. For starters, it will help you save money – an advantage we all want to have and strive for! Having an automated home irrigation system installed means that your garden, lawn and backyard will get the right amount of water that it needs. Instead of wasting money with a hose, and probably not properly watering your lawn, the automated system will know how much water to use, where to use it, and for how much time. Having a home irrigation system installed is also a great way to positively impact the environment. Since the automated system uses the perfect amount of water needed, there will not be even a drop of water wasted on your lawn. Additionally, using this system also ensures that your full landscape will get the water it needs and deserves. If you use just a hose, you waste water and you do not get every inch of grass that needs to be watered. Finally, having a home irrigation system makes sure that the work is done for you and you can have more time to enjoy other aspects of your life. With everyone’s lives being so busy nowadays, having to water the lawn is probably on the end of every to-do list. Before you know it, your grass is brown, dry, and patchy. Do you really want that? Instead of having to worry about whether or not you watered the grass early in the morning, make your life a million times easier by having a home irrigation system installed as soon as possible. It will not only do the work for you, but do it properly and efficiently. Now that you have come to the conclusion that having a home irrigation system is vital to your home, it is important to begin to decide which home irrigation company is best for you. Before you start shopping around and starting to do some online and in-person research on which company would be best for you, here are some qualifications to keep in mind. Check the company’s background: It is important to see different qualities in a company such as how long they have been operating and what services they can provide for you. While their website will tell you dates, services, and positive feedback they have received, it is also vital to do a bit more digging. Check out websites such as Facebook and Yelp to see what real customers have said, both positive and negative. It is also the easiest, fastest, and best way to see if people are truly satisfied with the company is to check if they have a Google Business Listing and check the reviews. Customers will also provide their reviews there, both positive and negative. Sometimes, what other customers write from their experiences can truly make or break your decisions. Call them, do they answer? As simple as it sounds, testing this is a method to see how dedicated a company is to their customers. Some companies do not have someone dedicated to customer service and answering phone calls. Would you want to work with a company who does not put their customers first? What happens if there is an emergency and instead of a person, you are greeted by an answering machine? It is better to choose a company that has an active team ready for you, than a company who pays no mind to their clients. Hidden fees: The worst part of any negotiation is to realize the total price of everything was more expensive than you thought. Make sure you go through every detail on the bill to make sure you will not get charged extra. Free consultation: In the same vein as hidden fees, check if the company you are interested in offers free consultation. Imagine if they do not tell you about the extra charge, they complete the consultation at your house and tell you how much it was at the end. You are not going to be a happy customer. It is best to either research it or just ask about it before you begin the process of hiring a home irrigation company. Warranties: It is in the fine print that many companies will either charge you hidden fees, or make sure you are stuck in a big problem if the product ever goes bad. Research if the company you want to hire has a warranty on broken products or if they offer support and repair if needed. It would be unfortunate if you spend money on the home irrigation system only to find out you are stuck with it if it breaks, and are offered no other solution to fix it. Accredited business with BBB: Probably most importantly, check and ask if the company you want to hire to do your home irrigation system is an accredited business with the Better Business Bureau (BBB). The BBB is a nonprofit organization that focuses on fostering honest and responsive relationships between businesses and consumers. It helps customers know that they are doing business with a trusted company. You would not want to enter business with someone who is not an accredited business because you and your home irrigation system could suffer from it. If the above qualifications stress you out about having to choose a company that marks off all the boxes on the checklist, look no further than American National Sprinkler and Lighting. They are not only an accredited business with the BBB, but they genuinely care about their customers. No need to worry about any pesky hidden fees or inability to answer your phone calls. American National Sprinkler and Lighting specializes in enhancing your home to its fullest potential. If you want to install a home irrigation system in your home, they know how to make sure your lawn is the talk of the town. 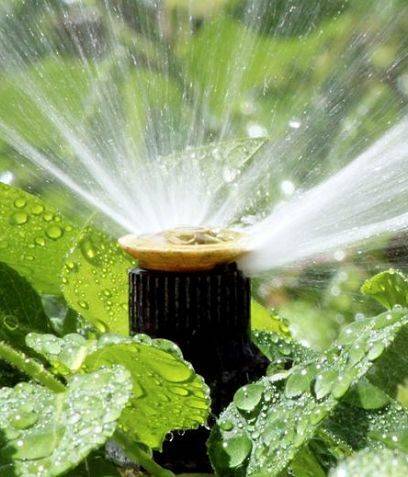 Their in-ground residential sprinkler systems are all self-sufficient watering systems that can help you save time and money, while still saving some water. All you have to do is adjust the system as the seasons come and go, but even that is as simple as pressing a button! Most changes you want to make to your home irrigation system can be made from the control panel inside your home. If you are interested in having an irrigation system for a commercial property, American National Sprinkler and Lighting also helps make your business’s location stand out. They know the importance of keeping a landscape in its best shape, especially if that landscape helps make a first impression to customers. They have experience on working with properties both big and small. American National Sprinkler and Lighting has been in the industry for over 75 years ensuring the best practices to enhance your landscape. Give us a call or connect with us using our Contact Form and see how your lawn can benefit as well.